Navigation on the Nile, by a Nile Cruise or Dahabeya, is a unique experience to explore the legendary sites of Egypt and the ancient wonders along the way. 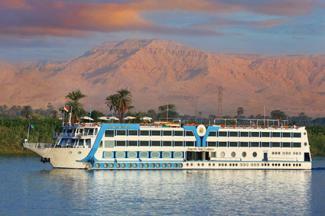 A Nile Cruise tour or a Dahabeya tour, mixes between the History of ancient Egypt with relaxation, transforming your trip to Egypt an unforgettable Nile experience. Join us on a wonderful historical journey. 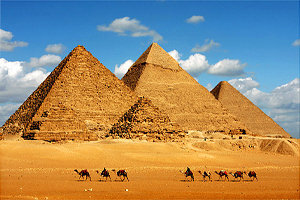 Discover the most outstanding archeological sites in the world visiting the most beautiful cities, from Cairo to Alexandria, from Luxor to the Nubia, by luxury air-conditioned coach or alternative transportation such as rail journeys. Language: Arabic is the official language. English is widely spoken. French, and Italian are also spoken in many tourist areas. Health Tips: Vaccinations are not necessary. You should bring all necessary personal medication for the duration of your trip. Many illnessess are caused by the change in temperature and intense heat. Drinking plenty of bottled water is highly recommended. Currency: The Egyptian pound is divided into 100 piastres. One English pound is worth approximately 8.50 Egyptian pounds, you can change foreign currency at all banks, and most debit and credit cards can be safely used in all ATM machines but will carry a transaction charge by your bank. Camera footage: In the Egyptian museums it is often forbidden to take pictures. Your local guide will inform you if it is prohibited or not to take photographs and videos. It is advisable to bring films etc with you. RSS © Copyright 2019 Ve travel services . All rights reserved.